Grants MMA is home to professional fighters such as Sean Pierson (MMA) and Troy Ross (boxing), and boasts a strong presence in local amateur competitions. But it's also a great place for the average Joe to get in shape while learning the secrets of the sweet science . The gym is located on the northern peripheries of North York , in a large warehouse space that looks as authentic as any boxing club I've ever seen. 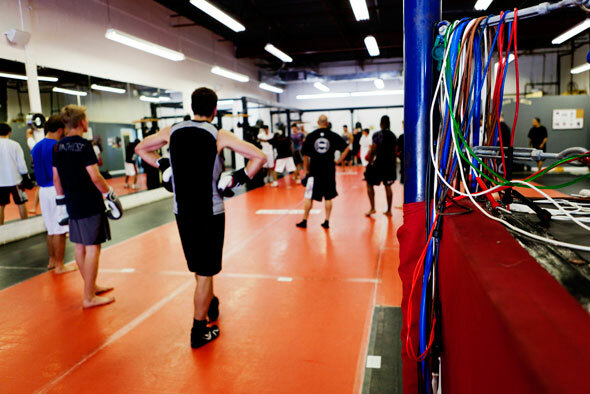 It sports a boxing ring, an octagon, seven heavy bags, two speed bags, and even a functioning double ended bag, which is something of a rarity in local gyms. The men's changing room is surprisingly clean. There is a shower and ample locker space. Surprisingly, few of the lockers have locks on them - people seem to trust each other. Just before 6pm, some 25 people, about 90% male and mostly between 15 and 35, are stretching, skipping, or hitting the bags, getting warmed up for the boxing class. Punctually at 6, Ryan Grant, universally known as RG, makes his entrance. You can immediately pick him out as the trainer. If you close your eyes and try to imagine the archetype of an old school boxing coach, there's a good chance you're seeing RG. And he talks the part too - the man practically radiates charisma. RG's class fully lives up to the high expectations set by his persona. I have never seen cardiovascular training and technical instruction integrated so well and so efficiently into a single hour-long class. RG seems to be in ten different places at the same time and, despite the rather large class size, takes the time to offer pointers to every student. The atmosphere is intense but not intimidating. While some of the students tell me they dream of professional careers, most are there to get in shape while learning new skills. "It caters to different skill levels and takes you to the level you want to go to," says Keith, 34, who trains to keep in shape. Despite a membership of 300 students, the gym retains a friendly community feel. "RG knows everyone by name," says Keith, "or he gives you a nickname!" 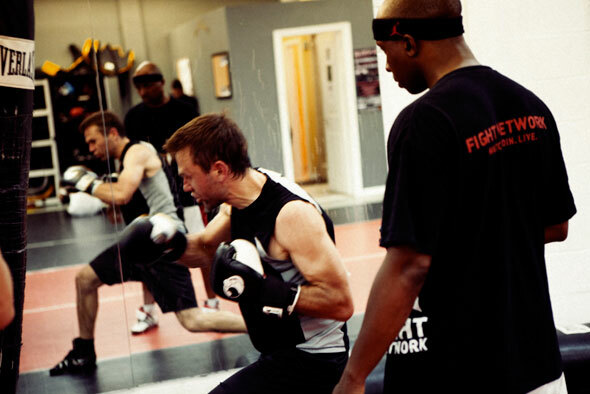 RG and the boxing program are definitely at the heart of the Grant Brothers experience. "This is our base," says co-owner Neil Forester, "but as our gym started to grow, we started adding new classes." 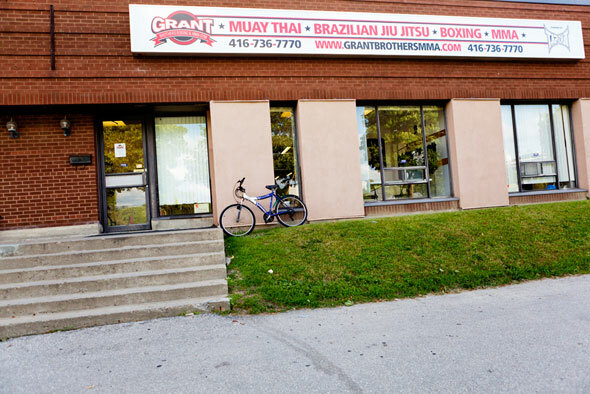 Aside from boxing, Grant Brothers now offers Muay Thai, Brazilian Jiu Jitsu, Judo, wrestling, Sambo, karate, and MMA classes for aspiring pros. On the downside, the $250 "initiation fee" may seem a bit pricey (although it includes either a Gi or a package of boxing equipment), and the $99.99 monthly dues, which give full access to all but "pro training" classes, are on the high side of average. 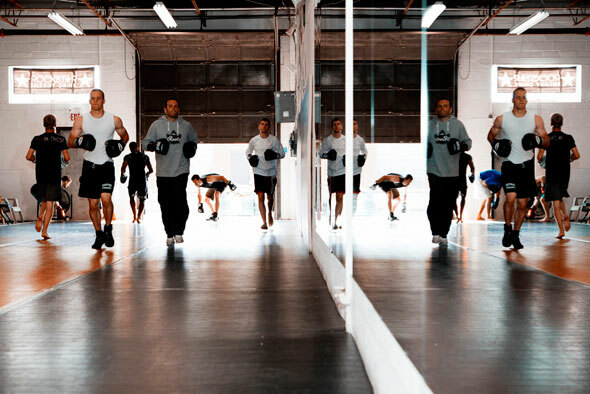 But then Grant Brothers has assembled what is probably the most consistently impressive team of trainers in the city - it includes former national champions, Olympians, and active professional fighters. So for those looking for bona fide boxing and MMA training in a great facility and an atmosphere that is both authentic and fun, this is a great place to be. Mike Swiegot. Writing by Paul Brykczynski.